After traveling 3 feet up, then sliding 2 feet down, the snail had a net gain of 1 foot per day and night. One would think, 1 foot per day and night, 30 foot deep well, 30 days and nights! But that's wrong. After 26 days and nights, the snail is 26 feet up the well. So the snail starts the 27th day at 26 feet. 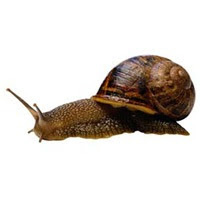 At the end of the 27th day, the snail has travelled to 29 feet, but during the 27th night, it slides down to 27 feet. So, on the 28th day, the snail travels 3 feet up and reaches the top of the well. So, the final answer is 28 days and 27 nights.